I started using Asian beauty products a number of years ago. I wouldn't say that AB products are necessarily better or maybe I would but they happen to work well for my skin. I definitely do believe that they're more innovative and better address my skin concerns. At the moment, I estimate that about 75% of my current skincare routine consists of AB products and I wanted to start talking about some of them here beginning with the SU:M37 Miracle Rose Cleansing Stick and White Award Bubble De Mask which are two of my absolute favorites. SU:M37 is a luxury Korean brand owned by LG. Yes, the consumer electronics giant LG, under the umbrella of the company's personal care division. 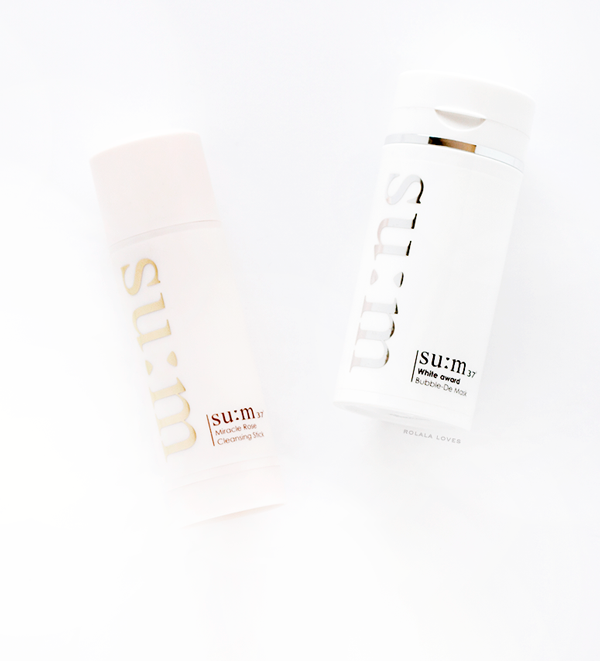 SU:M represents the Korean word for breath and 37 refers to the temperature of optimal fermentation. The SU:M37 skincare line features naturally fermented products that are free of fragrances, artificial colors and synthetic preservatives. In the fermentation process, microorganisms are used to break down proteins and other substances to increase the benefits and absorption of active ingredients. The fermentation process also produces additional antioxidants and amino acids along with enzymes byproducts which serve to break down the nutrients to smaller particles which can be more readily absorbed into the skin. 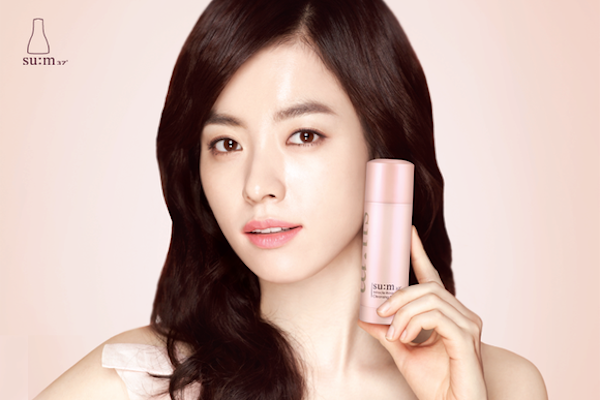 The brand was once represented by Korean actress Han Hyo Joo and actress Lee Na Young is the current spokesperson. 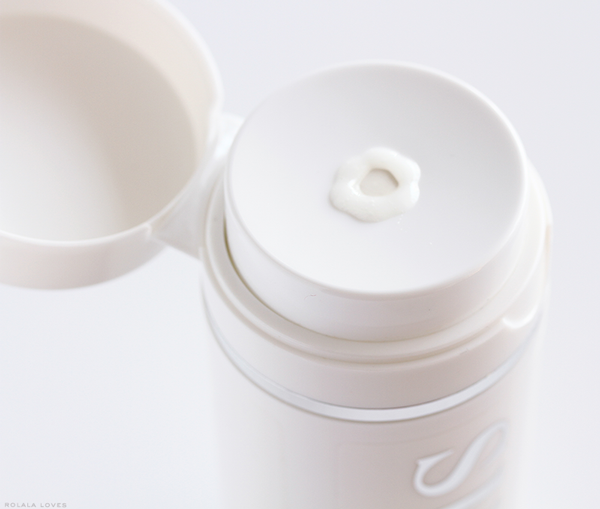 Since the advent of Asian beauty products in the Western market, the SU:M37 Miracle Rose Cleansing Stick is one of those that has achieved near cult status since being featured in numerous magazines including Allure and even mentioned on The Today Show. Demand was so high that for awhile the company had to suspend production because they couldn't obtain the rose petals needed for it. 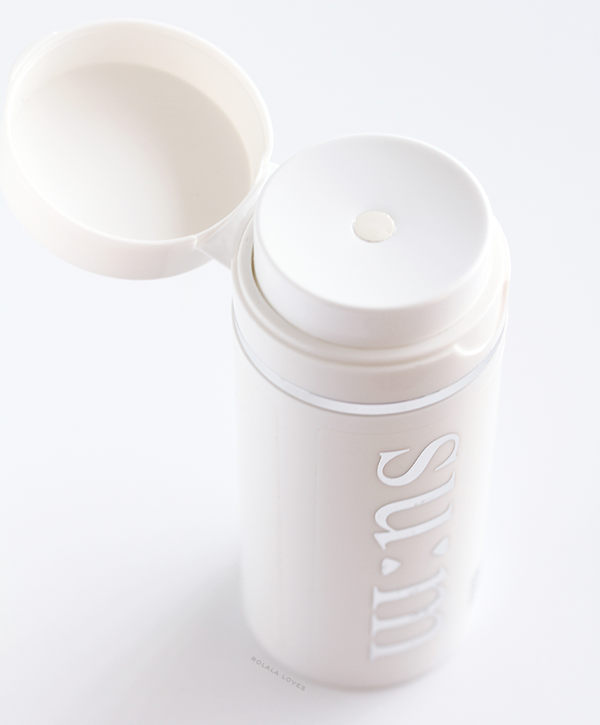 As it's name would suggest, the SU:M37 Miracle Rose Cleansing Stick is an 80 g stick and I would liken the packaging to really large lip balm, a really pretty one at that. It is composed of 90% natural ingredients, including natural fruit extracts, green tea seed oil, coconut oil, olive oil, camellia oil, lemon peel, glycerol, fermented damask rose extract and rose petals. The hypoallergenic formulation is supposed to cleanse and clarify while nourishing the skin. It is suitable for all skin types including oily and sensitive skin. 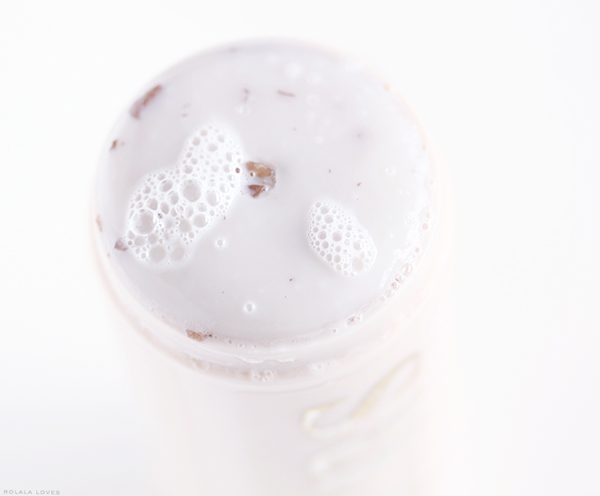 This functions as one of the regular second cleansers in my nightly double cleansing routine. To use, you simply swivel the bottom to bring up the product and gently swipe it around your damp face, When it starts lathering, it functions like any other foaming cleanser and I'll usually use my Foreo Luna or Clarisonic with it. Personally I prefer to run my cleansing brush over the cleansing stick to pick up the product. This cleanser has a light, pleasant rose scent, creates a good amount of luscious lather and rinses clean without leaving my skin dry or tight. The rose petals are not just there for visuals. They actually have a soothing and anti-inflammatory effect on the skin and also serve to lightly exfoliate. The packaging of this product has it's pros and cons. Since it's solid it's great for traveling but because of the way it's built, you must rinse the top and let it air dry after every use. It's not really a big deal but it is one extra step you don't have to do with other cleansers. I actually quite enjoy the experience of using this this cleansing stick. The rose scent and petals gives it a really luxurious feel and it always leaves my face thoroughly cleansed and super soft. The SU:M37 Miracle Rose Cleansing Stick can be found at Memebox for $26, on Amazon for $22.60 (Prime eligible) and from SokoGlam for $28. The SU:M37 White Award Bubble De Mask is a self-foaming triple function mask that deep cleanses, detoxifies and brightens the skin. The star ingredients of the SU:M37 White Award line are Acai Berry for antioxidant and anti-aging benefits and N-Acetyl-Phytosphingosine (NAPS), a fermented brightening agent that inhibits melanin production and stimulates collagen synthesis. This mask is packaged in a sleek 100 ml tube with a pump dispenser. It's meant to be used after washing your face. I personally find that it works best when preceded by an exfoliating product like the Laneige Multiberry Yogurt Peeling Gel (reviewed here). To use, apply a thin layer to your lightly damp face. 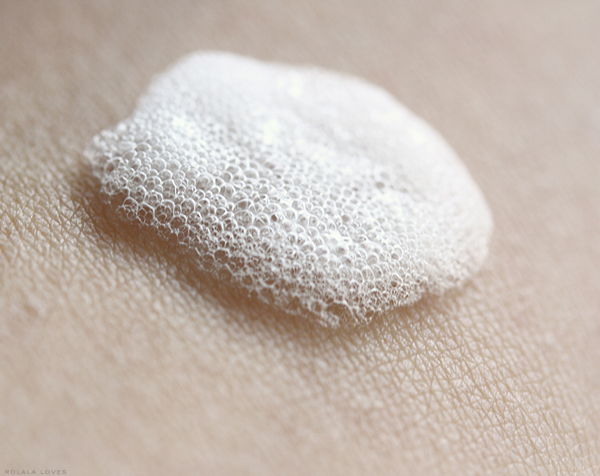 The product which has a soft soapy scent will pretty much bubble up by the time you're done spreading it around. The oxygen bubbles have a cool and refreshing feel. After about 20 minutes, there will be a light tingling sensation as they begin to dissipate. Once all the bubbles have dissolved, you rinse it off. My skin always feels incredibly smooth, clean and revived and is visibly more vibrant whenever I use this mask which is typically twice a week. I've never experienced any type of irritation. I love this mask as a deep cleansing and brightening treatment, so much that I actually purchased a second bottle before I even finished my first one. It works with instant results and it's fun to use. Sometimes I'll even use it before a night out. This mask works similarly to the Exuviance Bionic Oxygen Facial which is $65 and the $56 Bliss Triple Oxygen Instant Foaming Mask. Having tried all three, this is by far my favorite. I'm looking forward to trying more from this brand. There is something to these fermented ingredients. The SU:M37 White Award Bubble De Mask can be purchased through Amazon for $39.90 (Prime eligible) and it's also currently on sale for $33.75 at Skinmilk Bar. What do you think of these two products? Is there one you would want to try? The packaging is super sophisticated. I like the look of the stick and mask! I would like to try Asian beauty products! Oh wow, talk about being innovative! I would love to try both, the mask for the claimed benefits and the stick just because I would love to use a cleansing stick out of curiosity. I will want to try it both product sound amazing with beneficial ingredients. Your glowing reviews of products are always dangerous for my wallet...hehe...Thanks for the heads up on these, Rowena:) Will see if I can check them out here locally. i want to check out both of them!! Now that's interesting, I didn't know that LG also does cosmetics, tho. I need to check the brand out, that's for sure. Great review, thx for sharing. Wishing you a happy start into a beautiful new week, Rowena. I'll definitely give them a try! thanks for telling. Product images are awesome! I felt like I'm watching the art not a useful blogging phhotos. 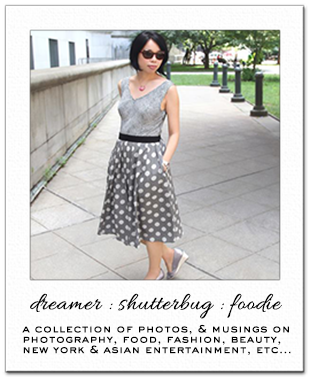 Thank you so much for sharing these, Rowena! The solid cleanser is intriguing, never seen another like it before and I'll have to check how much is it in CAD. Asian beauty products are always ahead of the game Rowena! That cleansing stick sounds amazing. I've never heard of it before. Gotta check it out. All of these products seem great but this cleansing stick really got my attention. It seems very simple to use. Plus, it is great that it is 90 percent natural (who doesn't like rose pedals). It is no wonder that this product obtained a cult status. I haven't heard of this brand, but I do think the bottling is really nice. Definitely something I haven't seen before when it comes to skin care. The packaging is adorable Rowena. The cleansing stick sounds really nice! That cleansing stick sounds awesome and so easy to use! Wow, I'm so intrigued by the cleansing stick. I love the ingredient list and the overall look. I'm going to get one to try it out. Have a lovely day, sweetie. The rose stick was on my list last year but I hadn't heard about the white award bubble de mask! Ahh I definitely want to try it and make a trip to Seoul to binge on beauty products, hehe. What great products.. especially love the stick. Oh man that cleanser is available on Amazon Prime for $22.00 I am going to try it! Great review. Would love to try the cleansing mask. I always figured I'd try the cleansing stick out of curiosity but I'm not in a hurry to do it. I would definitely try the bubble mask, I have a Dr. Brandt oxygen mask and like using it but I think my face gets a bit red afterward. When is gone I'd like to replace it with something that is a bit less irritating. My skin also likes fermented ingredients, but I've just tried 2 eye cream samples from Su:m37, I don't have much experience with the brand. So many great products out now. I remember I used to use Calli (spelling?) make up in the early 2000 and have always loved it. I don't think I see them around anymore. I haven't heard of this brand but the cleansing stick sounds amazing. i love asian skincare products! I think I've seen this brand before, can't think where though! The cleansing stick looks lovely, very easy to use in a stick like that.